Popular Scottish gardening series The Beechgrove Garden is back on TV – with tips for novice gardeners and growers who don’t have enough space. 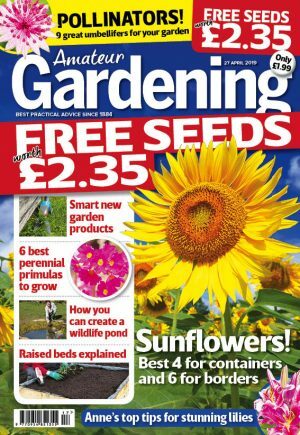 And gardeners south of the border will be able to tune in too – with a BBC2 repeat confirmed for Sunday mornings this season. In a new feature, presenter Chris Beardshaw comes to the rescue of a family with a new-build house – while Carole Baxter will help gardeners with old, neglected plots to fall back in love with their gardens. George Anderson will offer gardeners inspiration on how to be productive with just one square metre of growing space, while Scottish telly favourite Jim McColl is back with expert allotment advice and tips. Summer roadshows will take place across the Highlands. Beechgrove returns to BBC2 Scotland on Thursdays at 7.30pm, starting on 2 April 2015. And a nation-wide repeat on BBC2 on Sunday mornings gets underway on 5 April. Times vary.